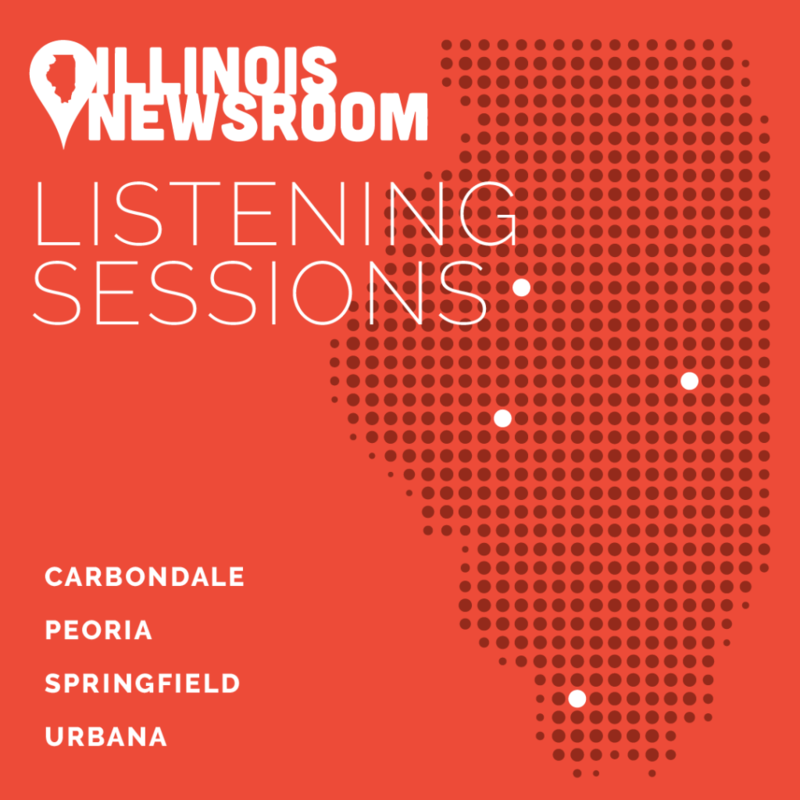 Illinois Newsroom holds Listening Sessions across the state to hear what’s top of mind for community members. Unlike a formal interview, listening sessions are prompted with open-ended questions and discussions are community member led. These meetings often occur for hours, building bonds between our team and communities and giving us direction for deeper-dive reporting series that have regional and statewide perspective. So far, we’ve sat down with dozens of community members working in government, healthcare, education, criminal justice, environment, social services, and commerce, and we will continue to share our findings with you. We are dedicated to a listening first journalism model, so please reach out to us at anytime! Where does health happen? In a doctor’s office? A hospital? What about in homes, schools, jobs, and parks? The definition of “healthy” no longer relies as much on positive experiences with healthcare providers. 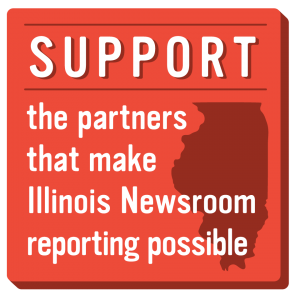 That’s the main takeaway from Illinois Newsroom’s recent listening sessions from across the state. Community leaders in education, healthcare, economic development, and philanthropy are focusing their efforts on improving what are known as Social Determinants of Health, things like employment, access to transportation, neighborhood and school safety, and education. Given this new understanding of health, bettering the physical and mental wellbeing of Illinoisans will require a lot of collaboration across sectors. Here are some of the current priorities we’ve heard in housing, education, and healthcare and how they intersect. Karen Davis heads Peoria’s new Local Initiatives Support Corporation (LISC) office and works to bring together leaders across Peoria to spark development and investment in historically disinvested neighborhoods. LISC looks not only to municipalities and private real estate developers for collaboration, but also to partners like OSF Healthcare, noting that safe neighborhoods and stable housing can lead to better health. While Davis works toward similar goals in Illinois, she’s also identified other issues, including the lack of affordable housing and its impact on the education system. With rising housing costs, Davis has heard from Illinois educators that attracting teachers to school districts that can only pay $41,000 a year is near impossible. On top of a statewide teacher shortage, toxic stress in children creates a strained education system in Illinois. Danielle Chynoweth, Cunningham Township Supervisor in Urbana, sees children suffering from housing insecurity or homelessness struggle in schools. A lack of mental health professionals in schools leaves many students without support to develop the resiliency they need to cope with multiple forms of trauma. Some children with difficult home lives act out behaviorally, leading to disciplinary action that Kelly Wickham Hurst, the head of Springfield’s Being Black at School, says is unjustly meted out to black students. As Illinois Newsroom’s previous reporting shows, school districts across Illinois are working to change disciplinary policies to support children who have experienced trauma, and Hurst says teacher bias must be investigated to create equitable solutions for non-white students. According to representatives from Southern Illinois Healthcare, education will be one of the topics for their next Community Health Needs Assessment (CHNA) as they transition to studying the social determinants of health. Their 2015 CHNA shows statistics about cancer, cardiovascular disease and its risk factors diabetes and obesity, and mental health, but 2020’s CHNA will look at research around poverty, transportation, housing and food access. There is agreement among many healthcare professionals across the state that issues like the opioid crisis and the rising suicide rate are symptoms of larger societal issues.